Excellent news article by Dan Boylan of The Washington Times claims that the value of the shadowy digital currency known as Bitcoin has jumped to record highs this month, sending shock waves through America’s defense and intelligence agencies, which fear its growth signals a surge in use by terrorists, drug kingpins, white-collar criminals and Russian cybercriminals who don’t want to be tracked by the world’s governments. For those who don’t know, Bitcoin is a worldwide cryptocurrency and digital payment system invented by an unknown programmer, or a group of programmers, under the name Satoshi Nakamoto. It was released as open-source software in 2009. The system is peer-to-peer, and transactions take place between users directly, without an intermediary. These transactions are verified by network nodes and recorded in a public distributed ledger called a blockchain. Since the system works without a central repository or single administrator, bitcoin is called the first decentralized digital currency. The currency’s unique power comes from its independency and lack of reliance on any single government for its legitimacy. Unlike regular money, digital or cryptocurrencies are not connected to banks or governments and allow anonymous purchases or money exchanges completely outside the realm of banks, credit card firms or other third parties. Instead, the coins exist because users “mine” them by lending their computing power to verify other users’ transactions. In Britain, screenshots on social media showed National Health Service computer screens with messages demanding $300 worth of Bitcoin to regain access to files. While cyberattacks have increasingly targeted businesses around the world, Bitcoin ransom attacks, especially in the U.S., are skyrocketing. The FBI’s Internet Crime Complaint Center reported it received 2,673 ransomware incidents last year — nearly double the figure from 2014. Despite Moscow’s denials of meddling in the U.S. presidential election, major investigations also continue into Russian hackers suspected of using cyberattacks to undermine or influence the vote. This summer, the U.S. Treasury’s Financial Crimes Enforcement Network (FinCEN), the Department of Justice and scores of European illicit finance law enforcement officials have fought back with a wave of operations against Russian cybercriminals. Late last month, they shuttered AlphaBay and Hansa — two of the biggest “dark web” contraband marketplaces rife with the illegal sale of guns, drugs and other forbidden merchandise. In an even more startling sign of the battle raging around Bitcoin, a FinCEN-led international illicit financing task force arrested a Russian “mastermind of organized crime” on a small beachside village in northern Greece less than two weeks ago. Alexander Vinnik, who is accused of laundering more than $4 billion worth of illegal funds using Bitcoin accounts, operated BTC-e, one of the world’s oldest Bitcoin exchanges. U.S. authorities accuse Mr. Vinnik of facilitating crimes including drug trafficking, public corruption, hacking, fraud, identity theft and tax refund fraud. “Just as new computer technologies continue to change the way we engage each other and experience the world, so too will criminals subvert these new technologies to serve their own nefarious purposes,” Brian Stretch, U.S. attorney for the Northern District of California, said about BTC-e.
Mr. Vinnik was arrested amid worldwide cyberhavoc triggered by massive WannaCry’s Bitcoin ransomware attacks in May and June. The attacks forced a production shutdown at Renault auto plans, crashed computers at Britain’s National Health Service and targeted India’s ATM network. A little-noticed provision of the law passed by Congress and signed by President Trump this month imposing new sanctions for North Korea, Iran and Russia mandated the formulation of a national security strategy to combat “the financing of terrorism and related forms of illicit finance.” Among those forms, according to the text of the law, were “so-called cryptocurrencies and other methods that are computer, telecommunications, or internet-based” for cybercrime. America’s defense and intelligence agencies, FinCEN in particular, pride themselves on the U.S. government’s ability to track and disrupt the illicit financial networks that work through traditional banks and finance channels. This summer’s crackdowns on illicit Bitcoin activity has been considerable, but the dramatic surge in the currency’s overall value poses even more challenges. WHAT IS A BITCOIN WORTH NOWADAYS? Over the past month, Bitcoin prices are up more than 30 percent. According to the CoinDesk Bitcoin Price Index, a bitcoin traded for more than $3,000 — a record high — this past weekend. The surge follows a spinoff another cryptocurrency, Bitcoin Cash. Anticipation of the spinoff sent bitcoin values spiraling last month as market analysts predicted a “civil war” with the rival. The opposite appears to have occurred with the spinoff driving up Bitcoin’s value. Market analysts say the value surge demonstrated bitcoin’s resiliency in addition to a growing public appetite for cryptocurrencies. On Thursday, bitcoins traded at $3,439.55 per coin, driving the overall market value of all existing bitcoins to $56 billion. Adding Bitcoin’s overall value to other cryptocurrencies such as Ethereum and Litecoin and the total market capitalization of such digital cash is roughly $120 billion. HOW DO WE RESPOND TO THE INCREASED USE OF CRYPTOCURRENCIES? Yaya Fanusie, a former counterterrorism analyst for the CIA, is credited with identifying the first verifiable instance of a terrorist organization attempting to use bitcoin to raise funds. He now runs analysis for the Center on Sanctions and Illicit Finance at the Foundation for Defense of Democracies and told The Washington Times in an interview that the increased volume of bitcoin trading in itself is not the concern. “The national security concern is not that criminals will use this type of technology — they use all technologies,” Mr. Fanusie said. “The policy question is: How do you deal with something that governments can’t control?” He said the U.S. needs to engage with the cryptocurrencies as much as possible and pointed to Defense Department procurement experiments already underway. Virtual currencies like Bitcoin can play a central role in more traditional types of crime. 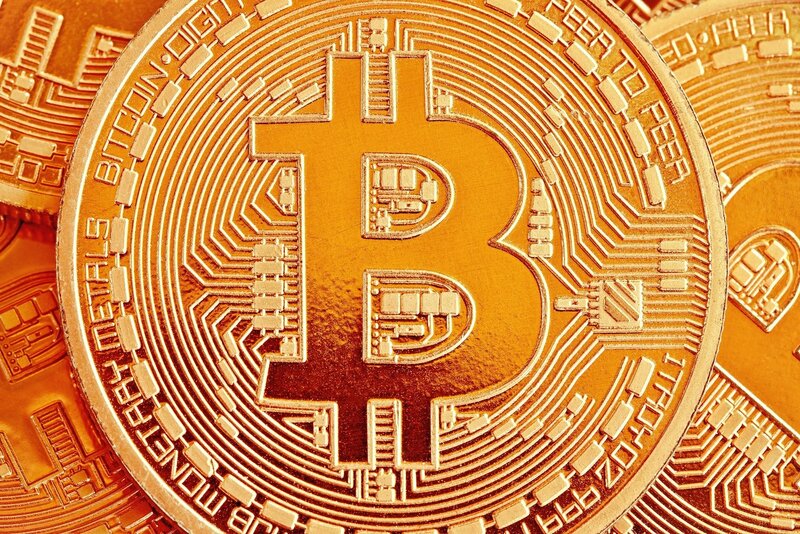 Bitcoin trading enables some types of unlawful purchases that may be serious offenses, such as illegal purchases of weapons or drugs. One such high-profile case is that of Silk Road’s alleged owner, Ross Ulbricht, whose Bitcoin assets of over $28 million were seized in a criminal investigation into alleged illegal drug sales. Even ordinary cash has a history of being used for nefarious ends, but digital currency transactions can make the courtroom defense of criminal charges more complex. When facing the possibility of fines, forfeiture, or even incarceration, it is best to find an attorney with the experience it takes to build a nuanced, creative defense.